Retractable hydraulic cylinder can get a longer working stroke with multi-stage sleeve-shaped piston rod hydraulic cylinder, telescopic hydraulic cylinder, also known as multi-stage hydraulic cylinder. Telescopic hydraulic cylinder is composed of two or more piston hydraulic cylinder set, the piston rod of the previous stage piston cylinder is the cylinder of the latter piston cylinder. When pressure oil enters from the rodless chamber, the cylinder with the largest effective area of the piston starts to protrude. When the line reaches the end point, the cylinder with the effective area of the piston begins to protrude. 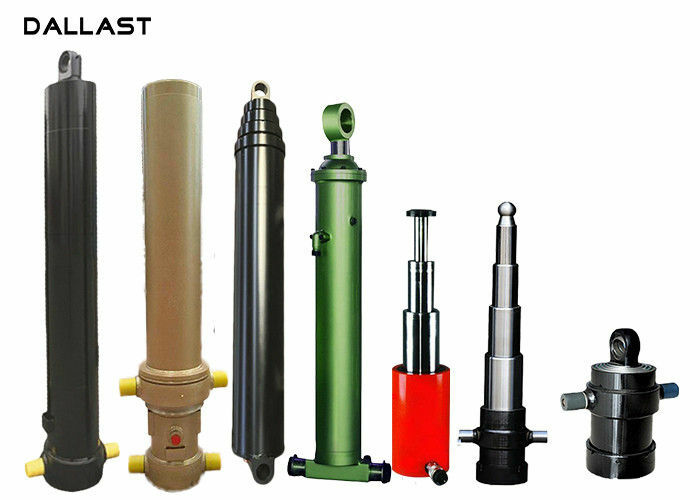 Telescopic hydraulic stretching out in order from large to small in order to obtain a long working stroke, the effective cylinder extending the smaller the area, the faster the rate of extension. Therefore, the slow out faster, the corresponding hydraulic thrust from large to small; this thrust, speed changes, is suitable for a variety of automatic loading and unloading machinery on the thrust and speed requirements. The order of retraction is generally followed by small to large retraction, the retraction of the axial length is shorter, smaller footprint, compact structure. Commonly used in construction machinery and other mobile machinery, such as cranes, dump trucks and other hydraulic systems.